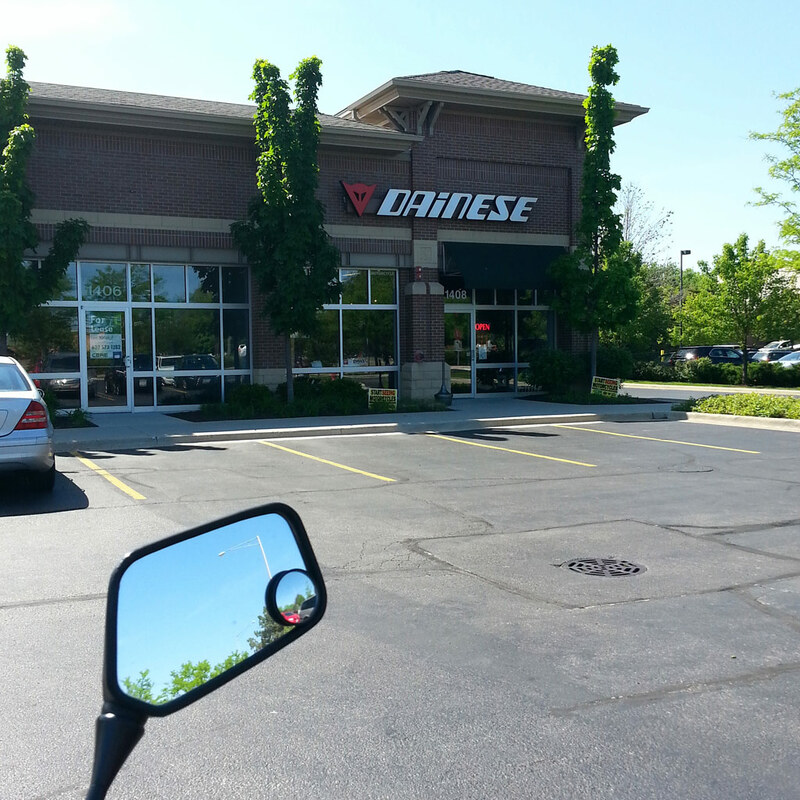 I recently discovered that there is a Dainese store in my area! Cycle Gear carries a few Dainese items, so I have tried on a couple jackets there. I do love the Dainese styling and features on many of their products, but holy heart attack, Batman, have you seen their prices? On my trip up to Cycle Gear to get a replacement for my gloves, I thought it might be fun to locate the Dainese store and just browse their inventory. Well, I found it! It’s a bit tucked away, but the store logo is pretty big, so it wasn’t too hard to spot as I rode by. So, I pulled into the parking lot and sat there for a bit, contemplating whether I could even afford to go into the Dainese store. I was trying to decide if it was worth the effort of taking off all my gear and locking it up on my bike so that I could browse the store unencumbered. I checked my phone to see if I had any messages, checked Facebook, browsed Instagram–still trying to decide whether to go in or not. Finally, a couple riders on Ducatis pulled up and went in. I mulled it over for another minute, then started up my bike and rode off. Normally, I am not so self-conscious, but for some reason I was feeling nervous about just going in the store. The gear I was wearing AND my bike put together cost less than some of their gear. I guess I was worried about feeling out of place and out of my league. I had no problem walking into Cycle Gear, even though they carry plenty of things I also can’t afford–including Dainese. The mind is a funny thing sometimes. I do plan to go back one of these days…and actually go in the store. Browsing is free, after all.